Eeeekk!! Welcome back House-Mouse Fans! We are so glad you're here. Are you ready for the lovely Fall and Autumn Season? We are and want to welcome it with this next challenge along with some exciting DT news! WOW!!! There is so much wonderful talent out there! We were blown away and so lucky to have so many wonderful talented players entering our DT call. THANK YOU so much for you special interest! 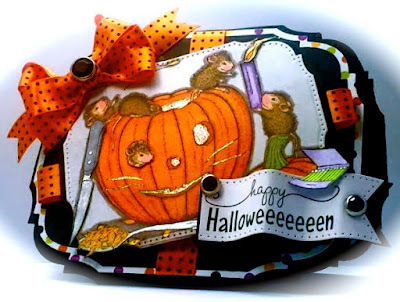 We love how you shared your enthusiasm for House-Mouse Designs®! We have chosen the NEW DT Member(s) - but we have not notified just yet, so we will be announcing the news with tomorrow's Winner's Announcement post! We know you are excited and anxious to hear, so we want to apologize for the delay and hope you don't mind the wait! Will it be YOU?? Please sure to check back tomorrow morning for the big news! :) Good Luck! 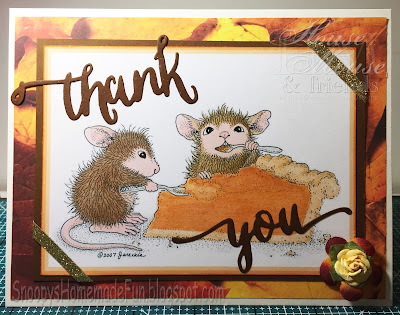 A BIG thanks to those of you who participated in our last "BINGO" themed Challenge #HMFMC203, hosted by Teamie Sue Drees. Your playful takes on the chart were amazing, super creative and so gorgeous. Its been so tough choosing the Lucky winners and even more so choosing the new DTs as there are so many wonderful designers! 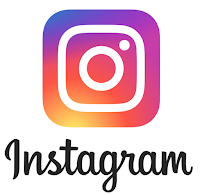 Please be patient with us as we are choosing and please come back to check in tomorrow morning, (Tuesday), for the Winners and New DT Announcements. (of Judy's choice and worth $15.00). 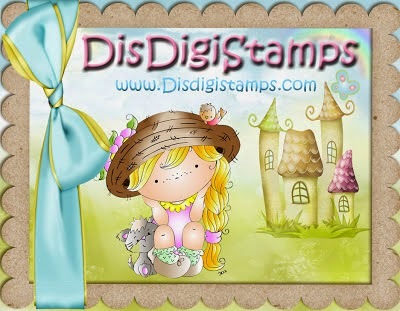 manufactured in the USA by Stampendous! 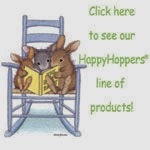 These mischievous mice get into everything, don't they? Isn't it adorable?? Thank you House-Mouse Teamies for your stunning contributions. Create a project following the current THEME, and/or "Anything Goes". 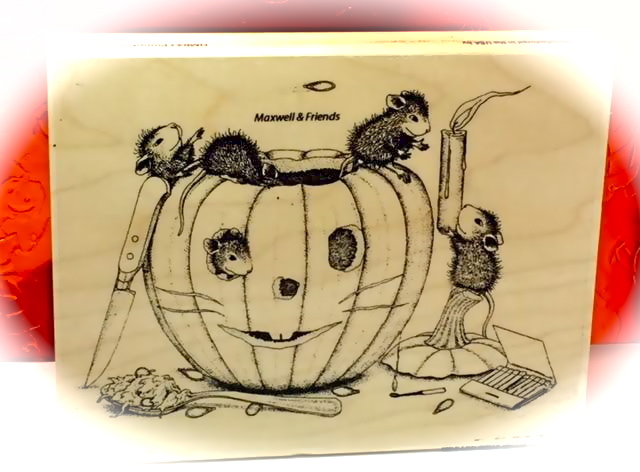 Your project should feature images by House-Mouse Designs® from any HMD Stamps, HMD CD collections and/or HMD Decoupage. 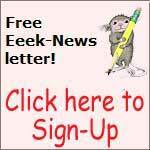 Reference Challenge CODE HMFMC204 in galleries or posts LINKING IT BACK HERE. We cant wait to see your *FALL / HALLOWEEN / Anything Goes* entries! 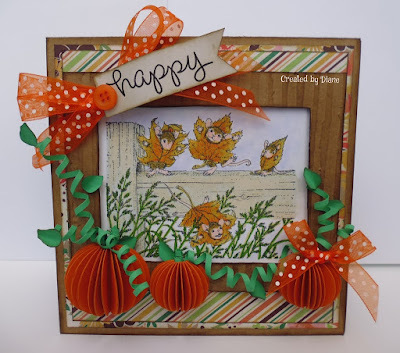 gorgeous cards DT great work all. what fun projects by the team for this new challenge! I have my stamp, stamped, just need to get busy painting it and then finishing the card. Look forward to seeing who you will choose as the new DT members too! GOOD luck to everyone! Just a quick question. Just in case I should ever win. Which would be a miracle, do you send prides outside the United States? 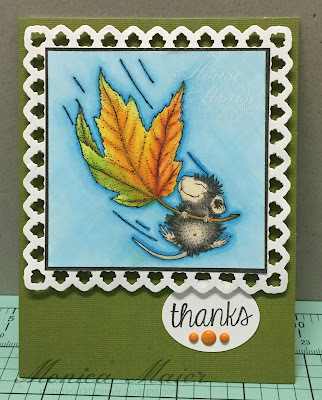 So much fun to use a new HM stamp!!! Thanks for the lovely challenge!!! 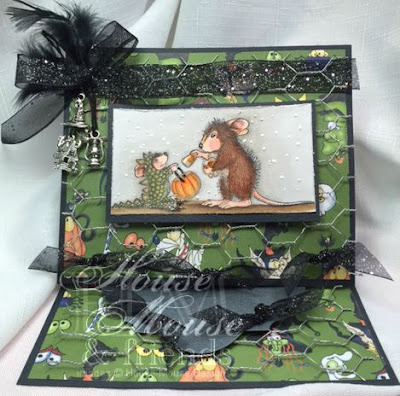 I always love House Mouse designs and these cards are just wonderful! 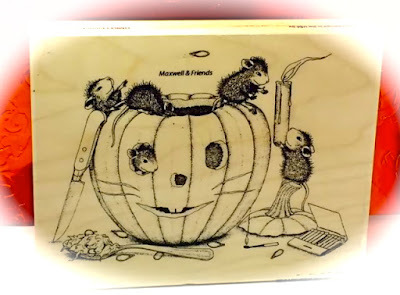 I love the House mouse stamps so I entered the challenge and put a link on my facebook page to your blog. grtz from Holland to all of you. Wow! I've never posted in here before... But I love looking at and reading through your posts!! Thank you for the chance to win! 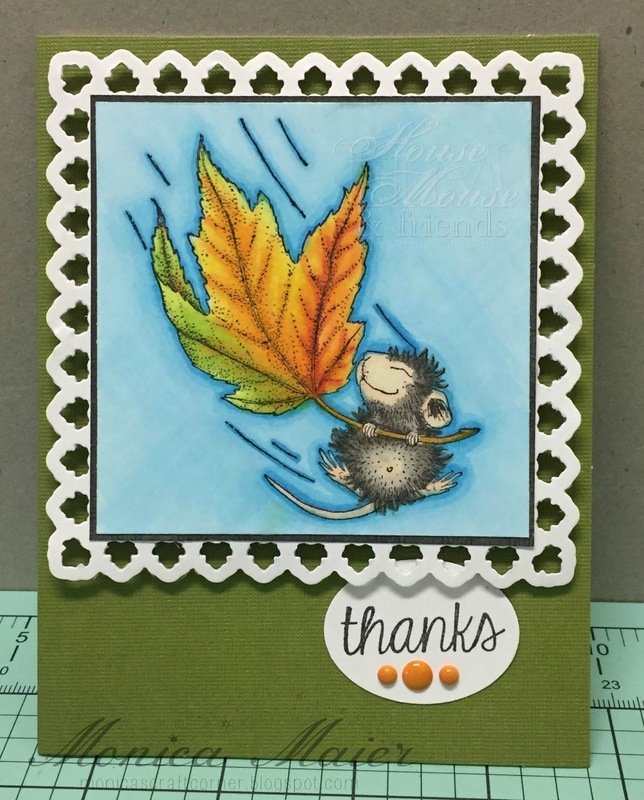 Tami...It doesn't matter if you don't have a fall themed stamp...you can ALWAYS make an "Anything Goes" card to enter in our challenges!